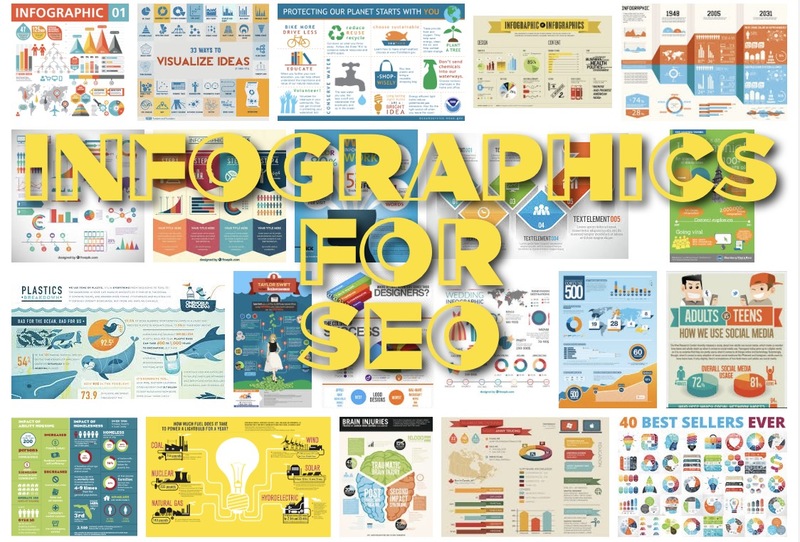 One of the most powerful tools in my link-building arsenal and one which is recommended to most SEO consulting clients is Infographics campaigns. Everyone has heard of them, many have tried one or two as a marketing tool for large initiatives. However because few effectively track results from their campaign over the long term, few realize that evergreen infographics are one of the best passive link-building strategies you can use for gaining long-term new links. Another reason many marketers lose enthusiasm for this great tool is that they fail to optimize the landing page so that the page itself will show up in searches for the topic keywords. Let’s look at six ways to gain the most from an infographic campaign and detail each below. The ideation stage for an infographic is the most critical because keyword focus has to be the starting point. Tangential topics can be fun to play with and lead to interesting content – however, if it fails to address an important converting keyword phrase directly – little will come of it. You must choose a keyword phrase which targets your audience with laser efficiency – THEN build an infographic around that strong message and carry it all the way through images, data presented, captions and embed code (more on the coding later). If focus is maintained throughout ideation and takes you from great title/headline to content, to text links presented – you’ll do well with your campaign. You’ll need to work with a graphic designer that understands your identity, colors and brand message (in-house if you have a graphics person on staff). Once you have a great infographic, your work has just begun. Next step is posting on your own site. Put the infographic, appropriately sized to fit your site layout directly into the page at a size that makes it readable – not smaller version on the page that requires a “download” link, pop-up windows or lightboxes! The infographic should be on the page. If your design theme makes that area narrow, design your graphic to fit within available space and still be legible without enlarging. Now if you’ve entered a significant amount of text on that graphic, it’s time to transfer all of that text to the page so google can read it (googlebot doesn’t read graphics). We want all of that information in HTML on-page text so that search engines can index your great content – otherwise they’d just see a headline and an embedded graphic – and nothing else, on your page. If you have only photos or bar graphs and pie-charts on that infographic (you may need to reconsider your designer) but the visual needs to be converted to detailed and descriptive text and put below the image you’ve created. The goal is over 250 words of rich text content on the page, preferably more. You’ve definitely seen the correct way to do embed code for infographics on many sites, but because our eyes tend to glaze over when we see HTML – we don’t look closely at details when we copy and paste the code into our own blogs. If this embed code piece is done badly, you could destroy the value of the infographic and sideline any benefits you had hoped to gain – so it’s worth paying close attention here or showing instructions here to the tech team for your site to get guidance or help from them. Because it takes some thought to create your own embed code properly, let’s look at the individual elements of that code. One very important piece is making the code easily copied by our visitors so that they don’t have trouble with copy and paste. <a href=”http://domain.com/infographic-landing-page”>Perfectly targeted Keyword phrase</a>. It is of paramount importance that you test your final embed code to verify it produces expected results and that the image displays correctly and the landing page link works properly (and without redirects). Now the basics are done – you’ve got a beautiful infographic conveying rich information in a visual form, it’s posted to a landing page on your site with rich text description on the landing page and you have good embed code with a text link at the bottom of the code which links back to that very same landing page. Now you begin your social media campaign, which if you are working with an agency, will be done for you. Here’s what the pro’s handling that campaign would do: A) Reach out to social media influencers and key contacts at topic focused sites interested in your infographic topic and offer exclusive early access for the jump start of your campaign (provide embed code). B) Contact partners, vendors and bloggers on you key media lists to offer additional distribution on your wonderful infographic (provide embed code). C) Socialize the infographic yourself on your own social media channels using a teaser graphic made up of your title/headline and one strong visual element which gets them to click through to your landing page – where you provide embed code. Your influencers and partners have now promoted – consider some paid placements if there is immediate ROI potential that justifies the spend. Here is where most fall down on knowing the success or failure of their infographic campaigns – they fail to monitor whether their ranking changes for the target keyword phrase over the long term. The excitement happens when the initial landing page is released and the shiny new infographic is promoted on social media – however, ranking changes come slowly and are apparent only over the long term. This leads everyone to focus on that initial social media attention and any immediate attention gained in the short term, but interest and attention wane as the infographic is forgotten by the marketing team, who have moved on to other projects and promotions. Someone needs to focus on how that campaign gained a specific number of positions in ranking after six months to a year and even beyond. Gains need to be reported regularly and if the infographic is seasonal at all, then repeated each year with new social media pushes and paid placement where justified. If you create an interesting and sharable infographic concept, get it wide exposure, optimize your landing page and track performance you can’t lose with this strategy. Contact us today to start an infographic campaign for your business.